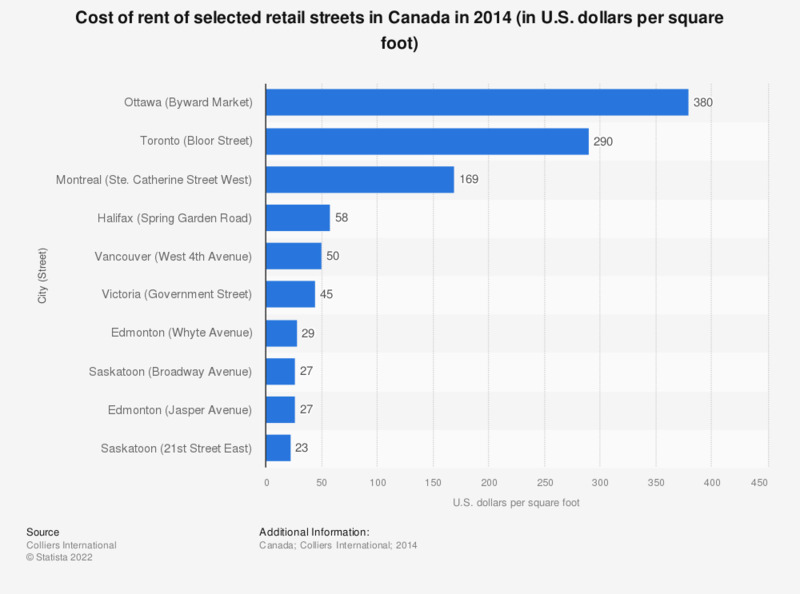 The statistic shows the cost of rent of selected retail streets in Canada in 2014. In that year, the cost of rent to own retail in the Byward Market district in Ottawa, Ontario was about 380 U.S. dollars per square foot. Statistics on "Royal Bank of Canada"